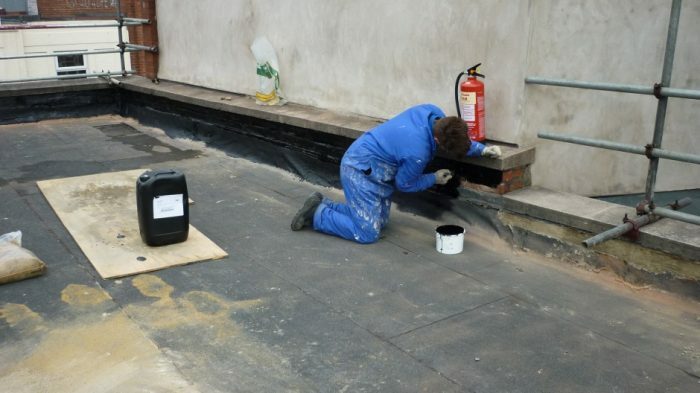 Flat roofs are a common feature around the buildings RWS deal with on a daily basis, They are usually specified on commercial aspects due to their ease of access, suitability for siting plant such as air conditioning, and they absorb sunlight faster therefore increasing internal temperature of the building quickly. There are many types of covering including felt, rubber and liquid applied. Where possible RWS would use a liquid applied system as it proves itself in performance and aesthetics! 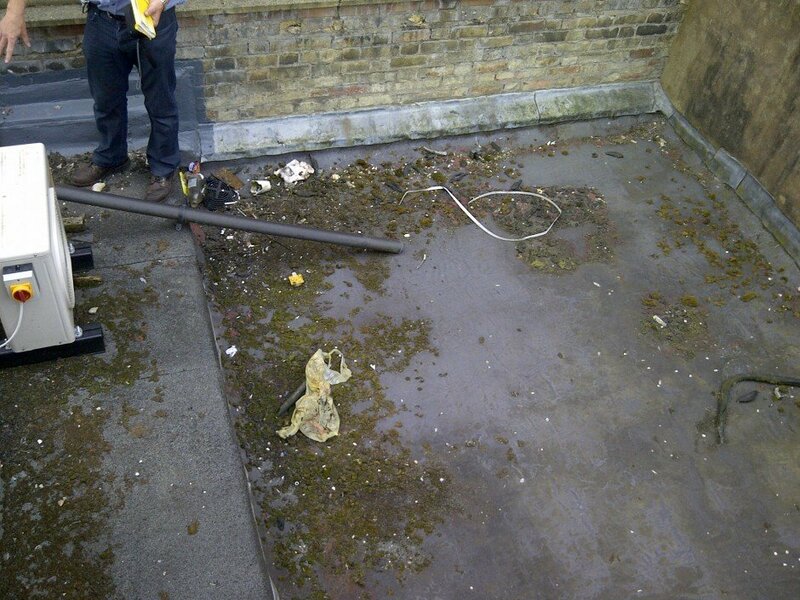 The existing flat roof was surveyed from above using Thermal Imaging. The visual condition showed some moss growth but there were leaks within the substrate not visible to the naked eye. 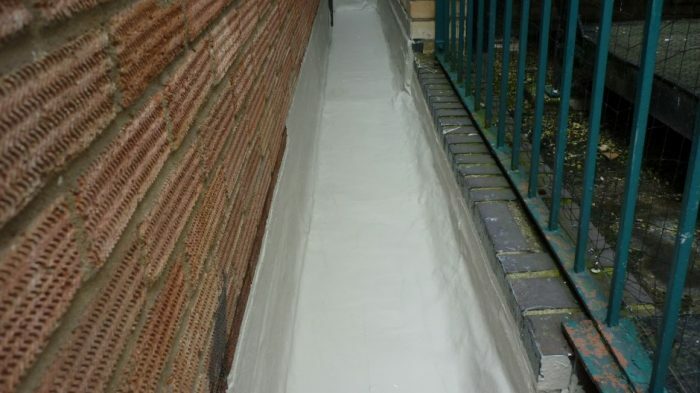 Flat roofs are not without their issues, the most common being water leakage due to standing water on the flat surface and thermal movement due to thawing/cooling; this causes the membrane to crack and reveal weak spots which will allow water to permeate the surface. This is an advantage of the liquid applied system as it doesn’t contract and expand. The liquid forms one sheet and moves as one single entity. 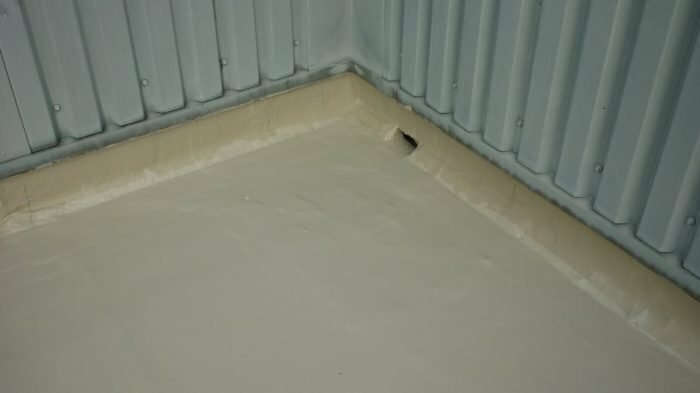 Condensation problems occur due to poorly detailed insulation and ventilation; and roof membrane detachment due to trapped moisture and flashing defects resulting from poor installation or damage. 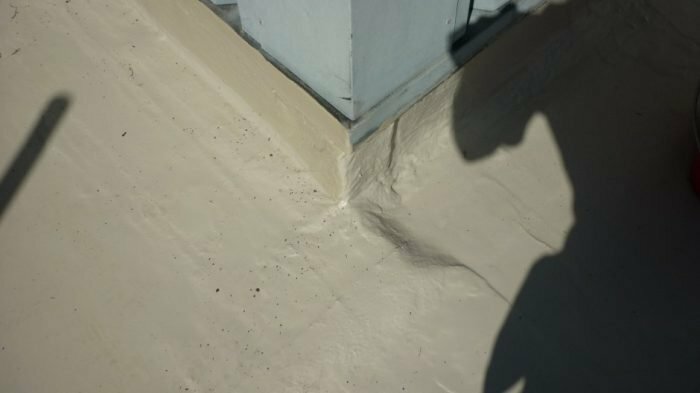 Damage can occur due to lack of maintenance and vandalism, this is another point where we believe that the liquid applied roofing system benefits as it becomes one surface instead of a lot of sections joined together. 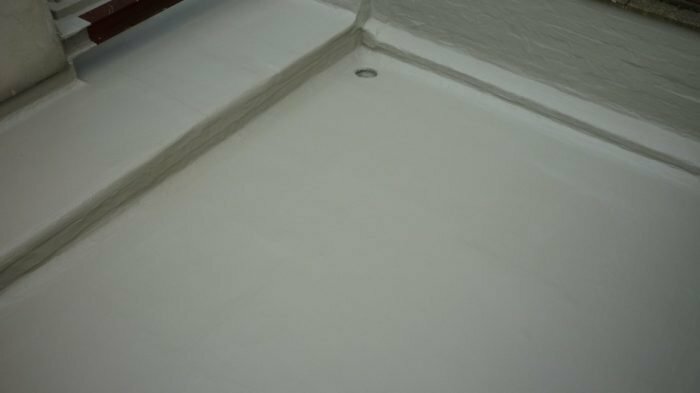 The more joints and junctions the easier it is for the water to find a weak spot and penetrate the surface, this is again where the liquid system is highly beneficial as it has no formal joints. Visual inspection cannot always identify an issue. 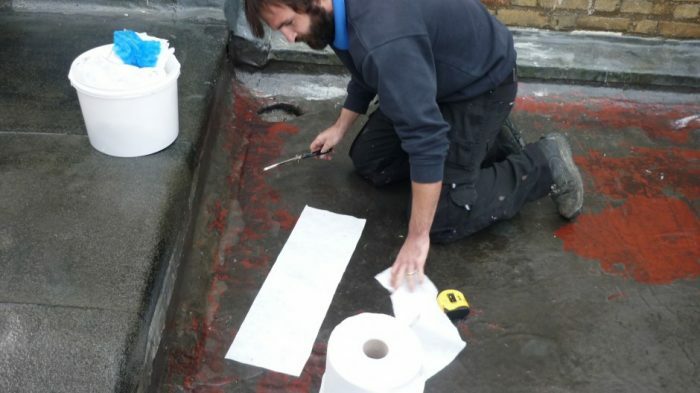 RWS always uses Thermal Imaging on a flat roof property to check for underlying issues. Images can be taken from inside and outside of the property to ascertain the root cause. 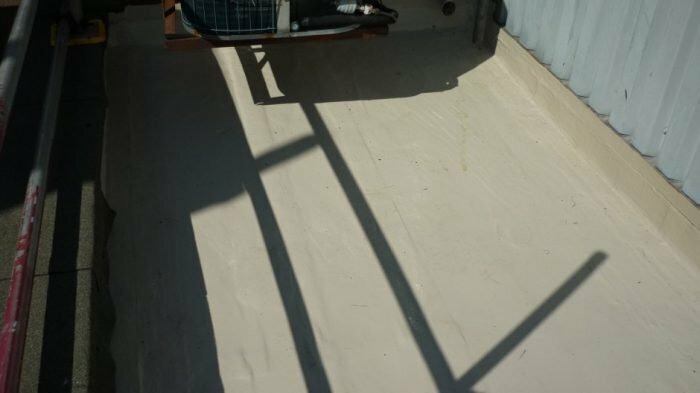 Why do we use Liquid applied flat roof systems? 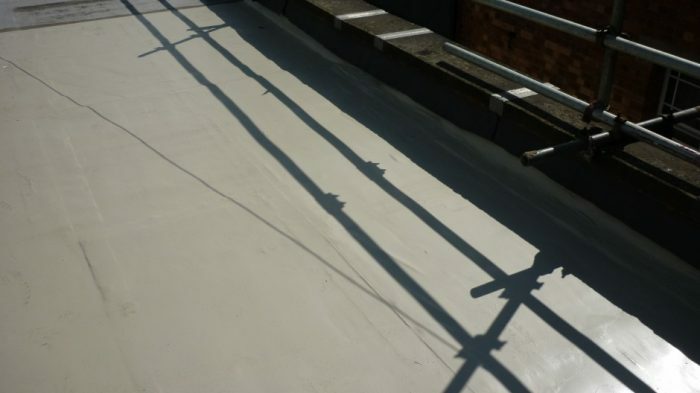 The Liquid coating is a high performance, cold applied, seamless waterproofing system designed for roofing, cladding, terraces, balconies and walkways. 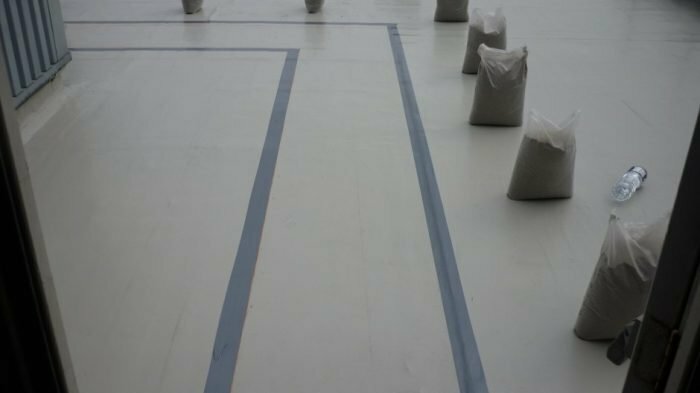 It can be installed on most surfaces from corrugated sheets to barrel vaulted roofs. It is UV resistant and can be installed as a cold or warm roof. Being flexible, it lends itself to congested areas with awkward detailing or profiled sheeting. Liquid coating is quick to install and many systems also have a fast curing time. 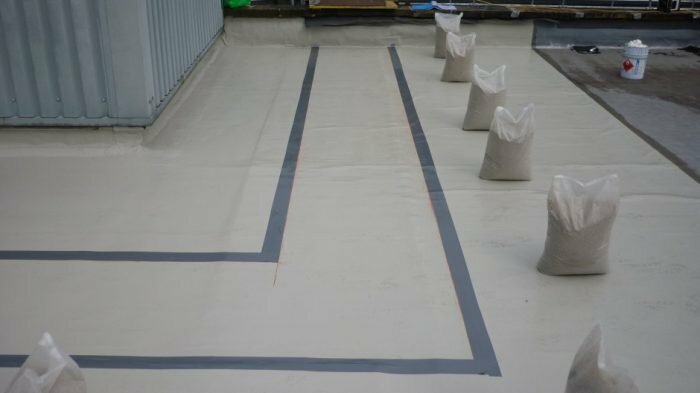 On a new ply deck RWS can get a building watertight within 30 minutes. 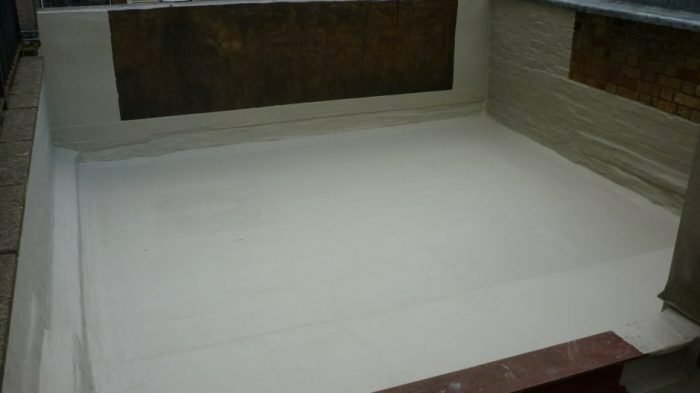 It is very durable and has an excellent bond quality to new or old surfaces making it ideal for refurbishment projects which require a fast curing time such as access areas to flats. 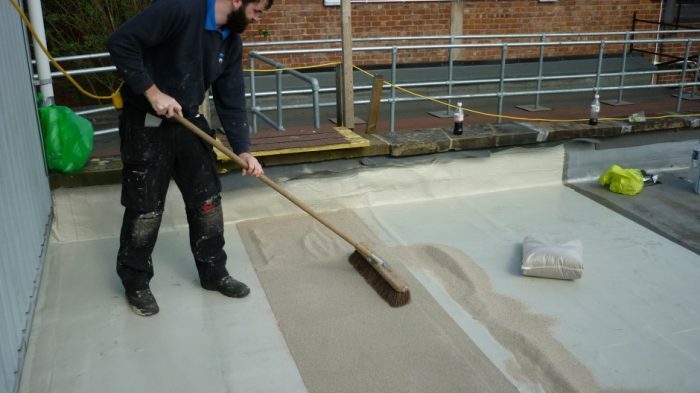 For many of our commercial clients RWS have integrated non slip designated walkways on roofs for maintenance purposes and for fire escape routes. 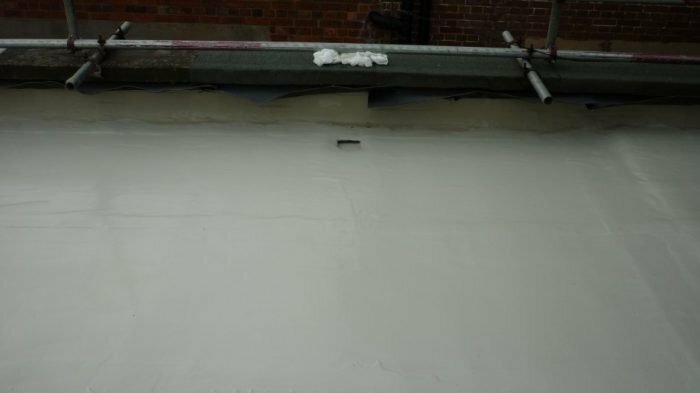 All roofs should be insulated – the type of insulant used and whether you’re constructing a cold or warm roof will determine the thickness of insulation to meet the approved documents. Both types of roofing (warm and cold deck) need to extend past the external wall to avoid a cold bridge which can lead to internal damp issues. Ensure materials being used are Kite marked or CE marked! 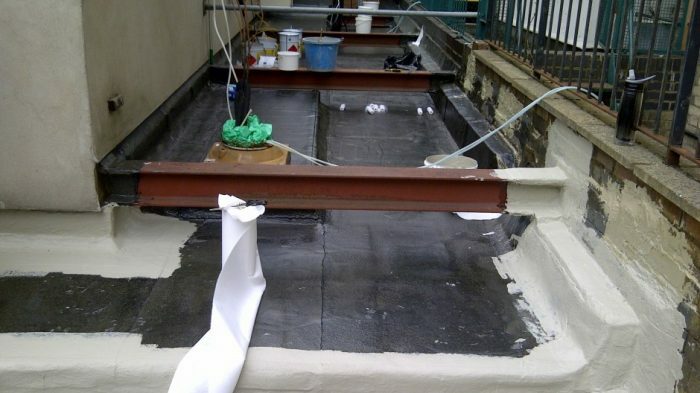 Ensure that upstands and flashings are suitable for the roof covering, a minimum 150mm upstand is usually required. Drainage outlet positions are also critical to avoid ponding. 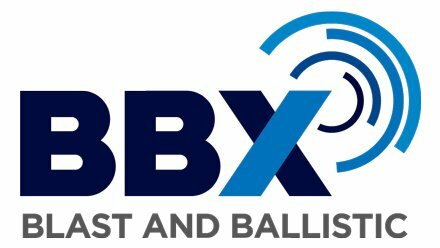 Use the right expertise – Are the installers accredited? 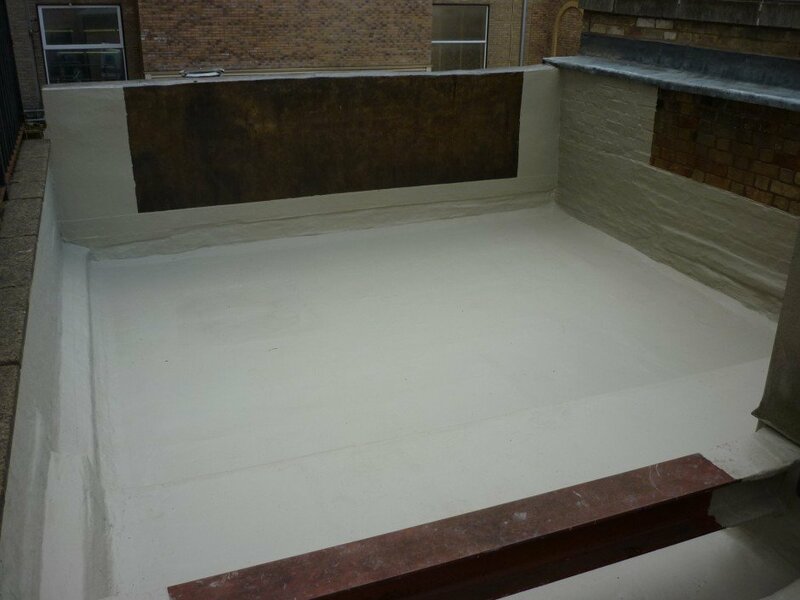 RWS are accredited to install Alsan liquid applied surfaces such as flat roofs and balconies which can be uniquely designed and developed to suit your needs and requirements.